Are you thinking about renting a motorhome or camper van? We present you our team so that you can choose who you want to accompany you on your trip. Oh! We also have classic VW California vans for weddings or special events. The most famous Camper van model in the world. Volkswagen has been evolving its recreational and leisure vans to the new times since that pioneering Vw T1. 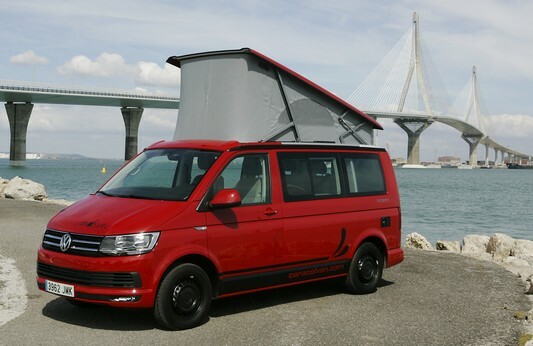 The result is the new Vw T6 California Ocean, a vehicle with all the quality and safety of a German brand, but also with full equipment to enjoy a holiday with your partner, family or friends. Kitchen, refrigerator and two beds are not at odds with ease of driving and economy of use. On the basis of a current van, there is room for a very particular motorhome. With four seats in motion, two double beds (150 × 190 cm.) 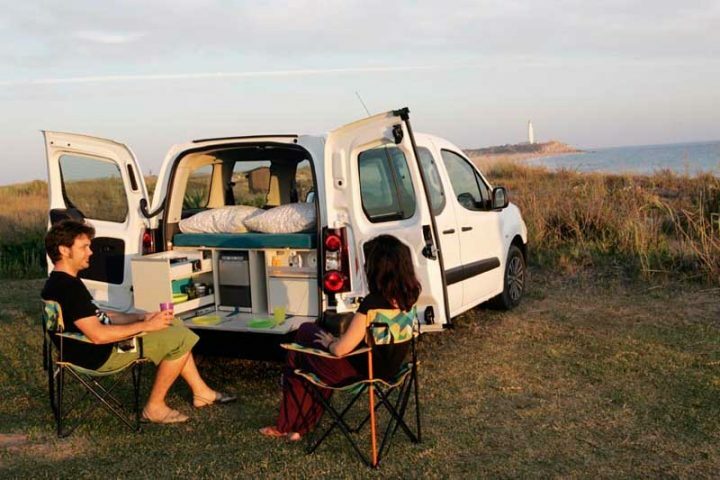 The Caracolvan Maxi Camper adds the interior bathroom, with shower and hot water, to the comforts offered by the rest of the Caracolvan equipped vans. 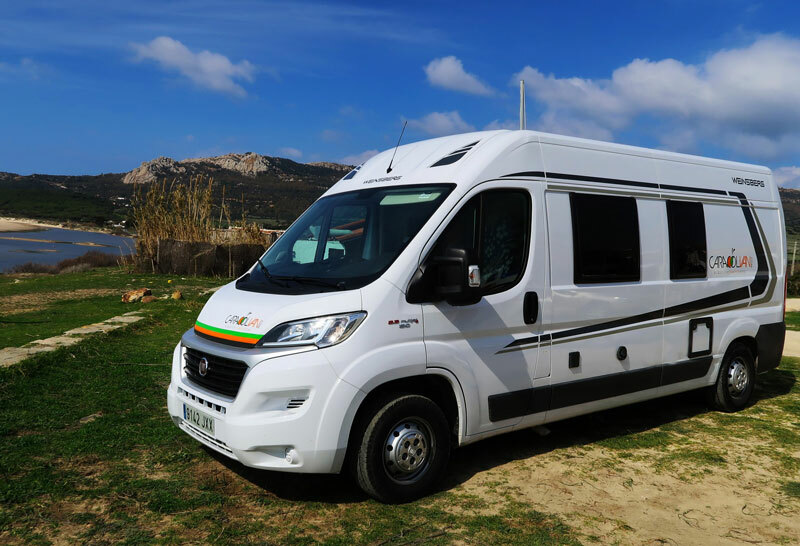 All the advantages of a large motorhome but in a much more manageable size, the perfect companion for a vacation. 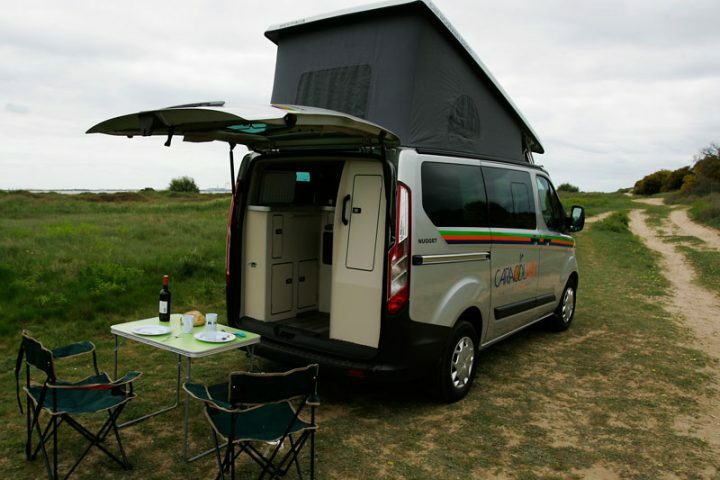 A reference of the camper vans, equipped by Westfalia with 5 seats, complete equipment and outstanding quality. 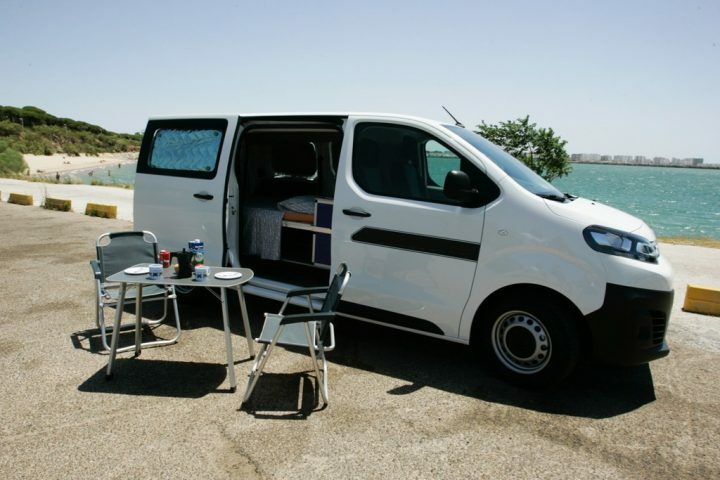 The most agile and economic model of our Camper rental vans equipped for Camping. This is the first step for your road trip in Camper van. All the necessary equipment for two people in a rental Camper van and at an affordable price, with a low consumption diesel engine of last generation. The ’60s and’ 70s have already passed but we were left with something more than the spirit of freedom and good music. We can still remember that time at the wheel of one of the classic Vw vans of peace, love and freedom. In our fleet we offer the most legendary models of Camper Volkswagen, with all its hippie spirit and originally equipped by Westfalia and in perfect condition. If you are looking for a classic van for an event, a shoot or a wedding, contact us and we can surely fulfill your dream.